You might be geeked to know that the full trailer for ANCHORMAN 2: THE LEGEND CONTINUES has finally surfaced. Yes, that goofy newsman and his buddies have reassembled for a follow-up that is destined to tickle your funny bone. While I know many of you are probably excited about the upcoming film, I couldn't get past the first 30 minutes of the first film so my enthusiasm for this is dismal. But since I know many of you are fans, I'm posting this here for you today. If you're unfamiliar with the hoopla, the concept goes a little something like this: Will Ferrell stars as Ron Burdundy, a "top-rated" newsman in the San Diego area. The first film, which came out in 2004, was set in the 70s, so much of the humor and wardrobe were fitting for the era. Ron's relative empire began to crumble when a hot new anchorwoman, Veronica Corningstone (Christina Applegate) threatens his position. Shenanigans ensued. Flash forward nearly a decade later and we're now in the 80s watching Ron and his crew do much of the same, but seemingly with a bit more cultural references (at least, as referenced in scenes with Meagan Good in the trailer below) told in a jokey-joke manner (kinda sorta). As mentioned above Paul Rudd and Steve Carrell return for the sequel, which also added (along with Good) Kristen Wiig, John C. Reilly, James Marsden, Liam Neeson, Harrison Ford (who I hope is playing his Morning Glory character), Nicole Kidman, Jim Carrey, and Kirsten Dunst, to name a few all-stars. So it sounds like they've really gone for broke on this. I'm not gonna lie, the trailer did make me laugh--only because Wiig makes me laugh even when she's not saying a word. Full disclosure: I'd only see this film for her (so I hope she has more than a cameo). 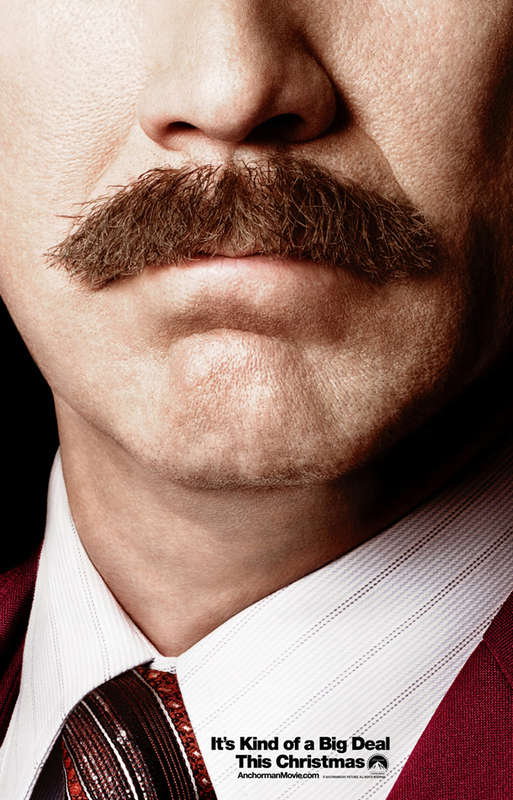 ANCHORMAN 2: THE LEGEND CONTINUES comes to theaters December 20th.